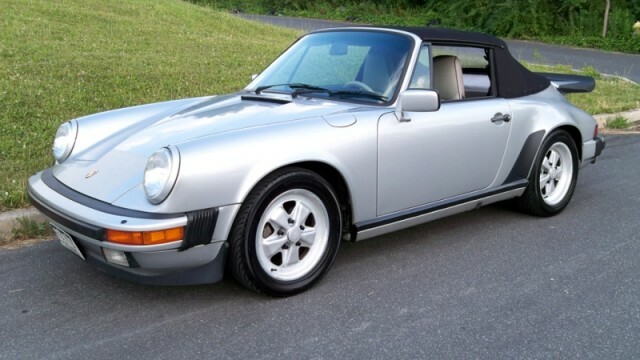 1989 911 Cabriolet » Specialty Cars Service Center, Inc.
Silver Anniversary Edition: silver metallic paint with silk grey leather interior. G50 5 speed transmission. 6×16 Fuchs up front and 8×16 Fuchs on the rear. The car has 115,000 miles on it now, with a top end engine rebuild by Specialty Cars at 105,000 miles. The car is up to date on all of its services.